I enrolled in graduate school unexpectedly shortly after I started this blog project. So, my progress on the project of reading through Shakespeare’s plays has been glacial, but I intend to keep plugging away. The Two Gentlemen of Verona are sitting there patiently waiting for me. They’ll get my attention soon. In the meantime, it’s the end of the semester, and while I’m over a year from finishing my degree, I have already earned a doctorate in procrastination! Yay, me! Shakespeare is not wholly responsible for my distractions, but he has his place in my Netflix queue, and every little bit helps! 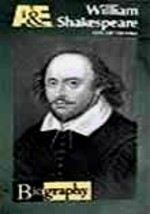 So, I was pleased today to watch a brief survey of Shakespeare’s life and works courtesy of A&E’s Biography series called William Shakespeare: A Life of Drama. It’s an easy watch, nothing too exciting, but a good basic biography. The story is interspersed with clips from film and stage, there are interviews with Shakespeare scholars and other experts (I enjoyed seeing director Peter Hall). This would be a good introductory classroom video… at 45 minutes, it’s the right length, and it moves along fairly well. This was produced quite a while ago, but A&E still has a classroom guide on their website. So, I gave you the good news first. Now for the other in my twofer post. 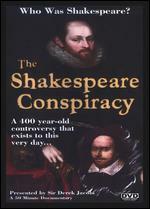 I had the misfortune last week of watching The Shakespeare Conspiracy. After seeing Anonymous, I was vaguely interested in learning more about Derek Jacobi’s part in the authorship debate. He narrates this one. Well, what can I say? Yawnnn. I’ll be honest, I watched it with the same complete slack-jawed disbelief that I felt when first learning about the tenets of Rastafarianism… what with the holy weed smoking and the deification of Haile Selassie (not that there’s anything wrong with that!). Um, yeah. So, I felt that same kind of disconnect from reality while watching this. Really? I mean… really? Alrighty. Well, they served their purpose of distracting me from my studies at a critical moment. Well done! Now, I have one exam left, some Christmas decorating and cookie baking, etc., and then The Two Gentlemen are waiting for me in Verona and maybe I’ll even get to The Comedy of Errors during winter break!